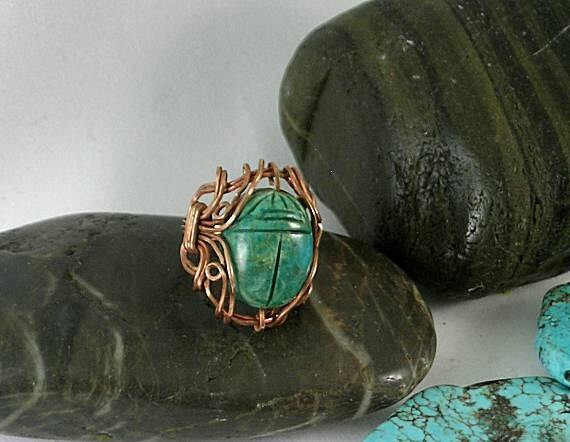 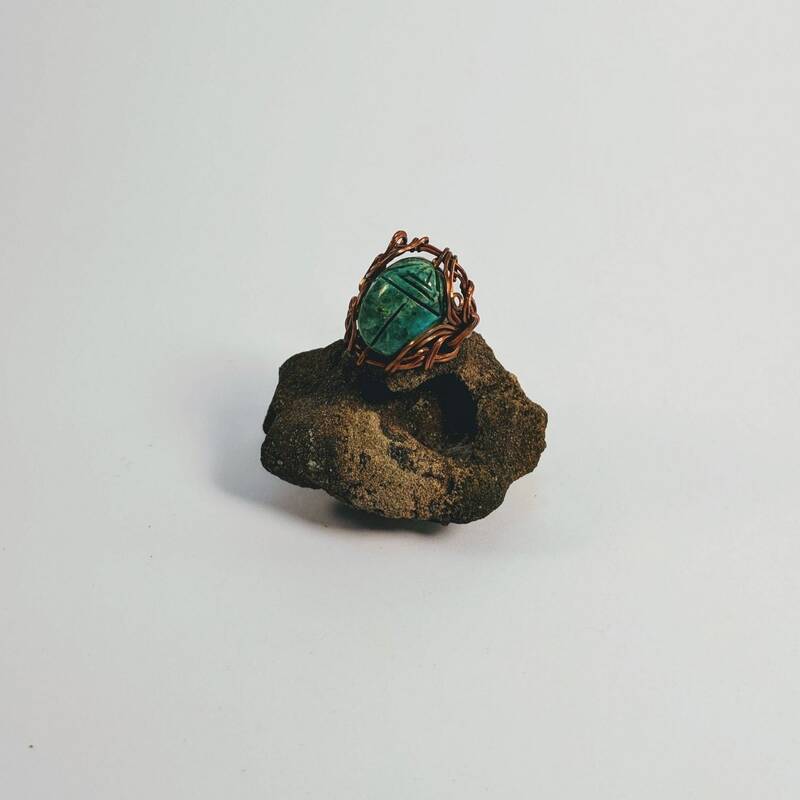 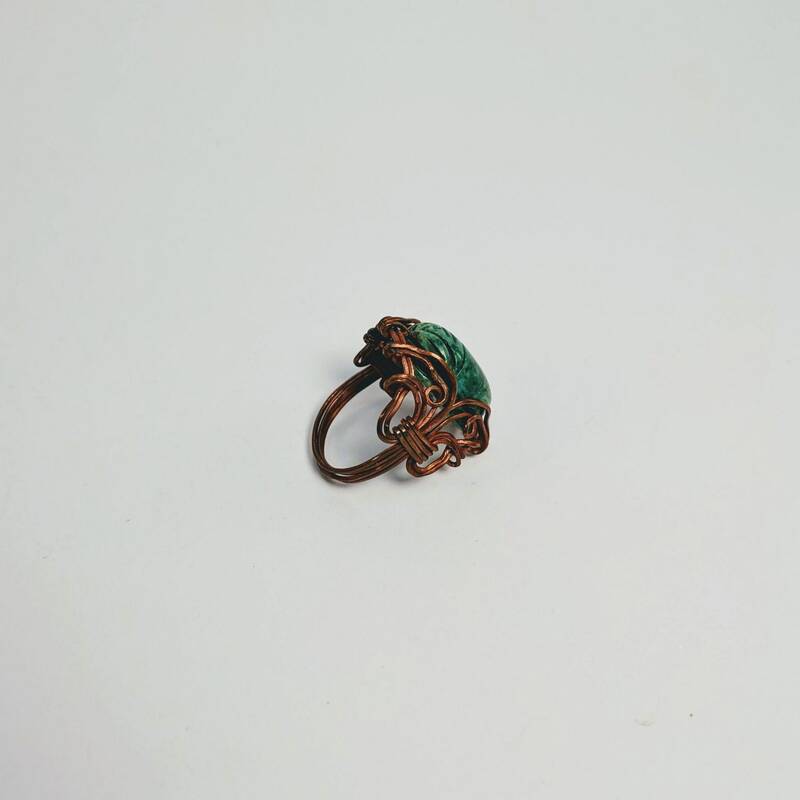 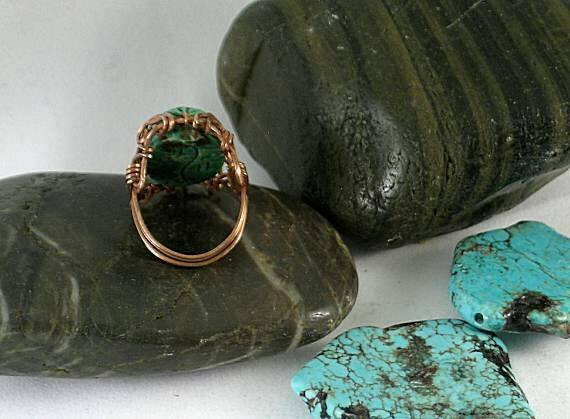 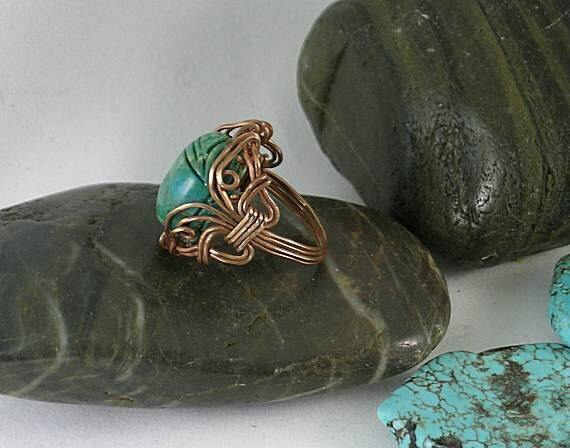 This ring is made of wire wrapped raw copper and is embellished with a 16 x 12mm turquoise carved scarab bead. 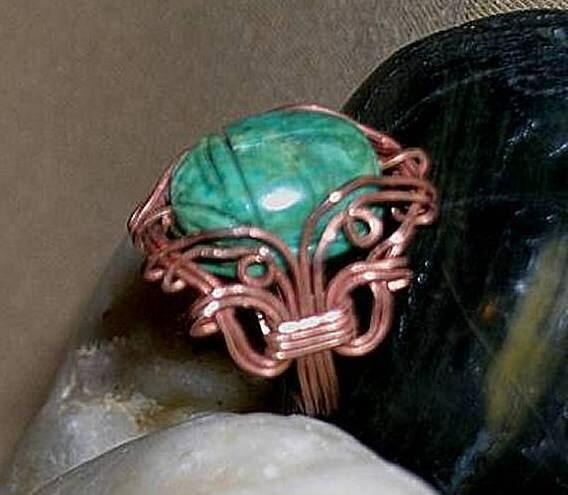 it's overall width is approx. 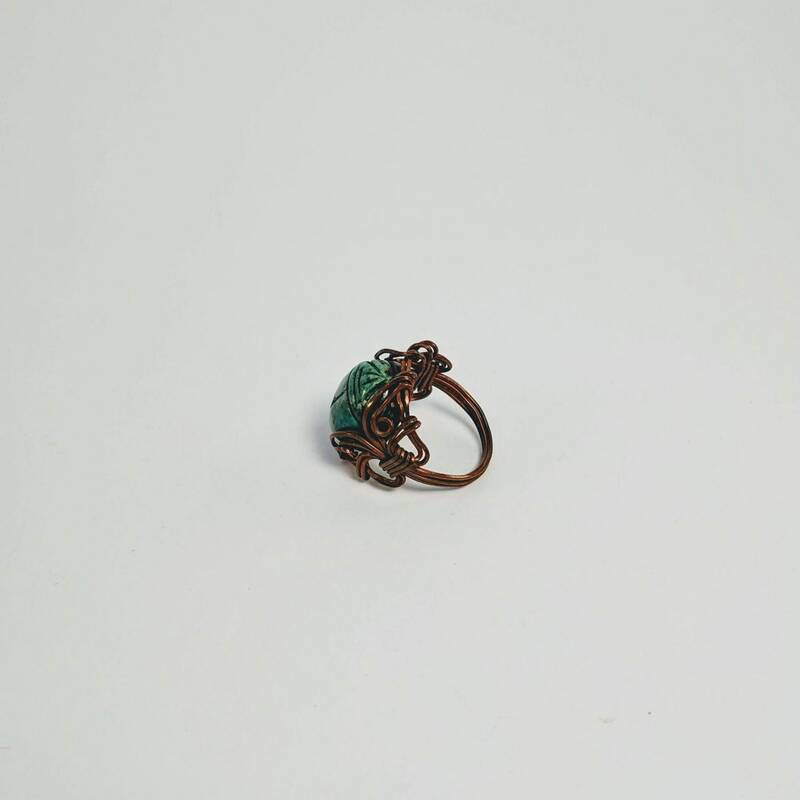 18mm and the height is approx. 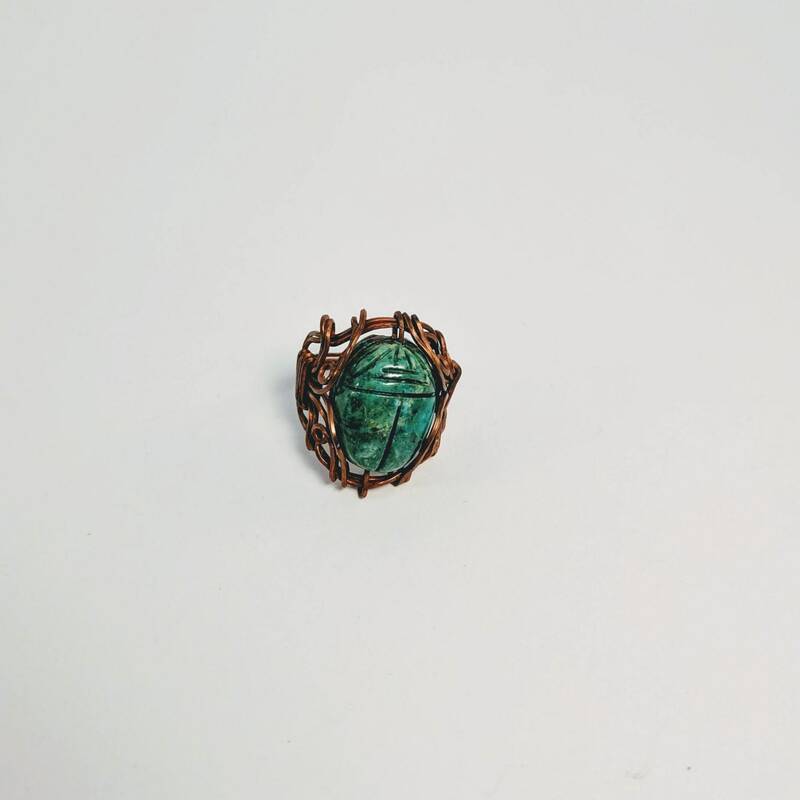 24mm. 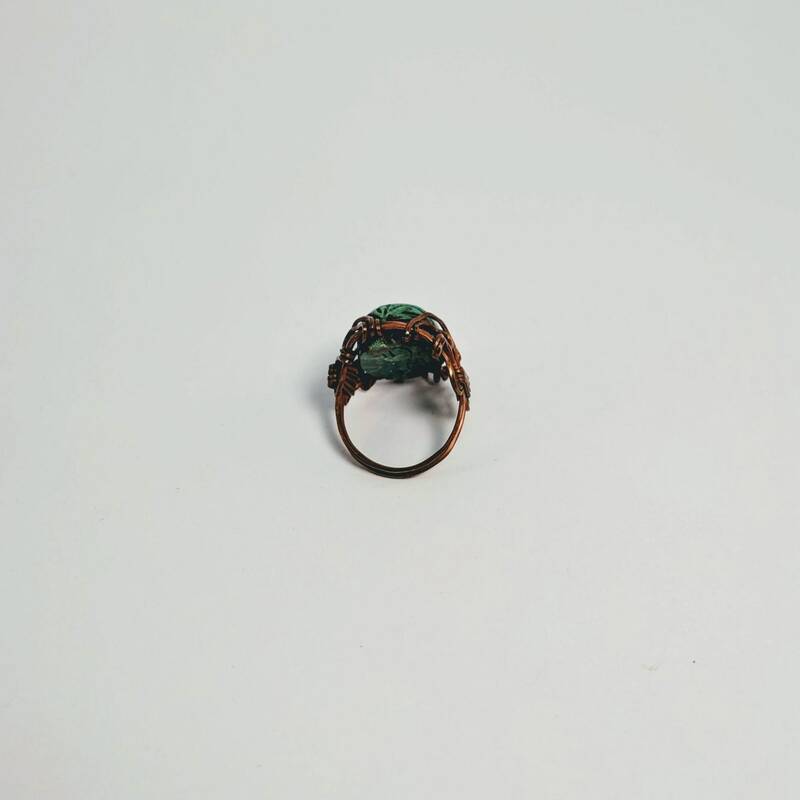 The size shown is a size 7. 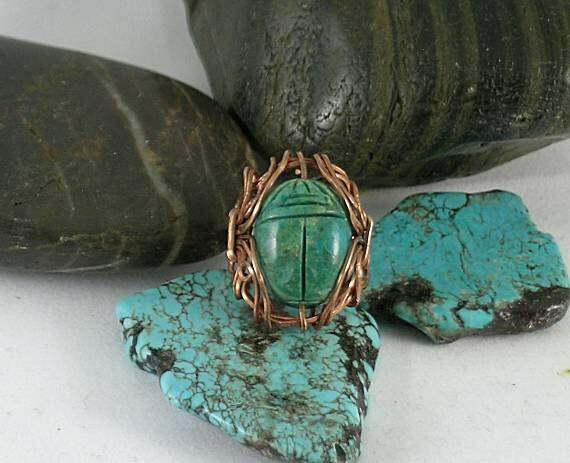 The scarab represents the sun god Khepri and is the symbol of rebirth.